The 2009 Polaris Sportsman 850 EFI XP With EPS is a Utility Style ATV equipped with an 850cc, Liquid Cooled, Single-Cylinder, OHV, 4-Stroke Engine and a Continuously Variable (CVT) Transmission. It has a Selectable 4X2 / 4X4 driveline. The Sportsman 850 EFI XP With EPS has a Independent Double A-Arm Front Suspension with 9 inches of travel while the Independent Double A-Arm Rear Suspension has 10.3 inches of travel. 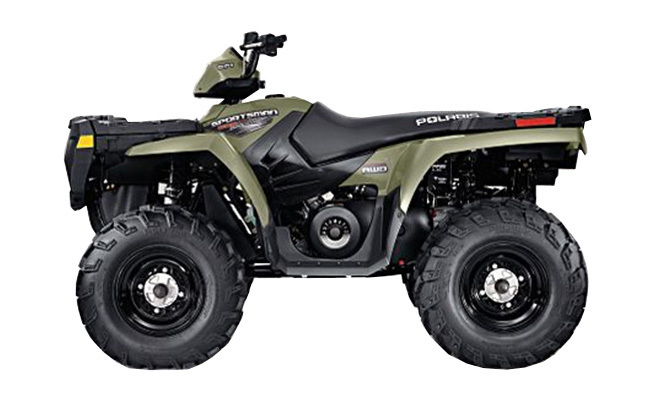 The Sportsman 850 EFI XP With EPS has Front Hydraulic Disc Brakes and Rear Hydraulic Disc Brakes. The Sportsman 850 EFI XP With EPS was introduced in 2009 and is New for 2009. It includes a 6 month Limited warranty.